WordPress is the #1 blogging platform of choice for many bloggers including myself. But in this episode I'll share with you, why I chose Blogger as the platform for the Ms. Ileane Speaks Podcast blog. Question - Is it time for you to start a SECOND blog? When it was time for me to find a home for this podcast I had to decide where I would host the blog. 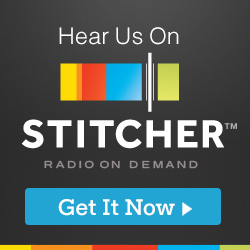 Since I already have a thriving and successful, self-hosted WordPress blog, I didn't want to add the podcast to that site because of branding issues. After all this podcast is Ms. Ileane Speaks and my WordPress blog is Basic Blog Tips and the two brands don't mesh together seamlessly. All in all, I think that anyone who is addicted to blogging like I am should consider starting a second (or ancillary) blog with Google's Blogger platform. 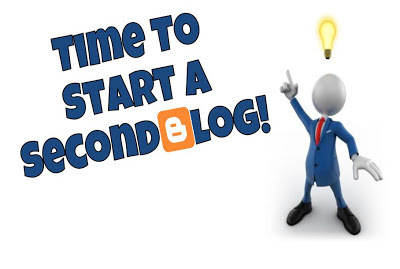 Will you consider starting a second blog in 2014? Amazing, when I was using Blogger - it wasn't cool. But, I felt confident. I knew how to use it and how to maneuver around and somehow was inspired to WRITE a lot more. One thing I can say about Blogger (without knowing anything about the new platform)is it always served to be user friendly. If I say it's friendly, it IS definitely friendly. ;-) Seldom could I not easily find my way over a hump. Hey, I hope you have the merriest Christmas and the brightest new year too! You always light up my world. Love you much. And, needless to say, I don't think I'll start another new blog ... but, then again. You are so right! You rarely needed me to come to the rescue for your Blogger blog :) And yes, it is time for you to start another blog. Don't you want to share some adorable Kassie stories with us?? You can do a photo blog if you don't feel like writing (although I doubt that). Thanks so much for being the first person to comment on this blog. Merry Christmas and tell everyone in the family that I look forward to seeing them soon. Thanks for trying to share your next move with us. I love Blogger platform but the customization normally gives a kind of headache because you will need to edit the HTML at all times before you can edit things. Yes that is the down side but I have no plans to do any customization on this blog. I did add Intense Debate with CommentLuv, so the next time you visit you should be able to take advantage of it. It won't work on existing posts unless there were no previous comments. I already have 8, I don't think I could handle one more. I have a few on Blogger still too. I like that format and love the new changes. Good luck with this one Ileane, I'm sure it will do very well. Merry Christmas! Lisa, you are a blogging machine! I'm so glad we got to know each other in 2012. I know you are destined to do great things in 2013. Cheers! Nopes, I won't start a new blog, but a new campaign. A guest blogging campaign and an affiliate marketing campaign. I hope I will get success in both of these. You have a whole year before you get a chance to say "Nopes". Even if you don't start another blog, I wish you all the best with your current one. Have a wonderful 2013. Even M considering a second blog in 2013 and even M gonna go with Tumblr. Its nice and has a lot of publicity tools in it. I am indeed planning to start a new blog in the new year. It will be a self hosted blog on Wordpress. At present I am learning as much as I can about the blogosphere before venturing into it full steam.I enjoy being on Blogger for your reason number 9. Talking of Blogger, I must say I am really happy that you're using this platform.This will allow me to learn a lot from you. Since I can hardly call myself tech savvy,I am somewhat intimidated by the mere mention of the word Wordpress. You did a great job by starting a second blog on a blogger. Even I have started by second blog on a blogger because I too have a same history like you that is the issue with hosting providers and downtime problems. If you really like blogger hosting, I would suggest you move your blog "basic blog tips" to blogger. I started my first blog 10 years ago on Blogger. About a year ago, I transferred my primary blog, created in 2009, to a self-hosted WordPress site. I still have several blogs at Blogger. To post at more than one site, would be difficult for me. I suppose once in a while is doable. Hi Lauren, I'm really fortunate to have an awesome team of guest bloggers who write for my WordPress blog. That's what keeps me sane! Thanks for the comment! Have a wonderful holiday. Philemon, the very first post on this blog talks about starting your blogging journey and takes you step-by-step through the thought process. I do love the features of Blogger, however, we have started our new blog just this month, on Wordpress. It provides us with income and it teaches others how to make real money blogging. Hi Ileane, nice podcast. I started out on Blogger a long time ago. I had the traffic issue with a link tracking membership site that forced me into a dedicated server several years ago. I just shut that site down but still have the server. So far there's been no problems but it's very expensive. I'm paying $219/month. I can hardly keep up with what's already on my plate but I wouldn't have any problem with a Blogger blog. Just having a separate IP address on another server can have it's benefits as well. I am paying just about the same as you for hosting and some days I wonder if there is a more affordable way to go. Thanks for stopping by Brian - I added Intense Debate so the next time you stop by you can get some CommentLuv. Hi Fabrizio! Thanks for the kind words. Let me know where to find your Blogger blog so I can take a look around one day. I read this too quickly the other day, Ileane, and started a second blog - but not on Blogger! (I was actually on my cell phone when I first saw it, and thought - "Oh, h***, why would I want another blog? Seriously... I'm not keeping up with the ones I have..." But then I started looking at all the reasons I wasn't keeping up with the ones I had, and decided it was time for a fresh, new blog with a fresh, new purpose. Hi Holly, thanks for visiting the new home of the Ms. Ileane Speaks podcast. 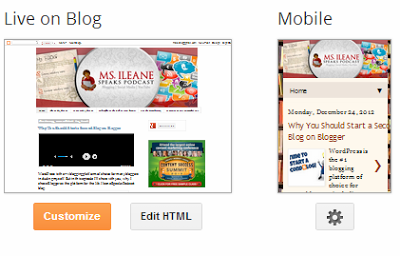 I've always keep a Blogger blog on the side (Ms. Ileane's Blog and Basic Podcasting Tips) so the transition was pretty easy. We are both such blogging addicts aren't we?!! Congrats on your new blog too. I'm using blogger and so far satisfied with it. Looking forward to improve my blog. Hi Qadar, thank you for sharing your experience with Blogger. Good luck with your blog. Great idea Ileane! I wouldn't have even considered starting a blog on Blogger before I read this. (I've been a bit of a self-hosting snob up until now.) It makes total sense though. I'm definitely adding this to my 2013 to-do list. Thanks. Sherryl, Blogger is such a care free platform that I just can't resist it! Thanks so much for stopping by and checking out the podcast too! It's always good to have multiple options when it comes to have your online business exposed and I can see that Blogger has it's advantages and you have lots of energy to successfully work on achieving your goals. My work ethic is a little sub par because I'm a bit 'lazy' and feel comfy with my self hosted wordpress blog and all the great plugins that come with it. But in the end, the ones who work harder and smarter always win. Hi Ioan, Thanks for the kind words.